Trustly offers a fast and secure method of funding your betting account using instant online banking so you need not use a credit or debit card. This payment method is available to customers in Spain, Sweden, Estonia, Poland and Finland in EUR, SEK or PLN only. To transfer funds, in your betting account, you’ll click to deposit funds by selecting Trustly from the list of available payment methods. Enter your deposit amount, and continue with instructions and you will be directed to the Trustly website where you should select your country and preferred bank from the list provided. Depending on your bank, you will either be issued with a unique transaction reference and the bank details you should use when making your payment or you will be transferred to your Internet banking login page. You will then need to log in to your online banking service and transfer the deposit amount using the details provided by Trustly. Deposits with Trustly are essentially instantaneous and have no fees applied to them by the betting site. The name registered on your bank account must match the name registered on your betting account. Withdrawing: If you have deposited by Trustly, withdrawals are generally processed by Bank Wire. 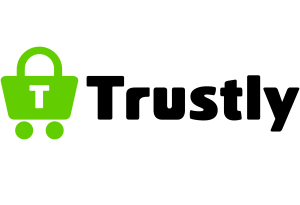 All about Trustly as a sportsbook banking method and the top football betting sites that accept Trustly.